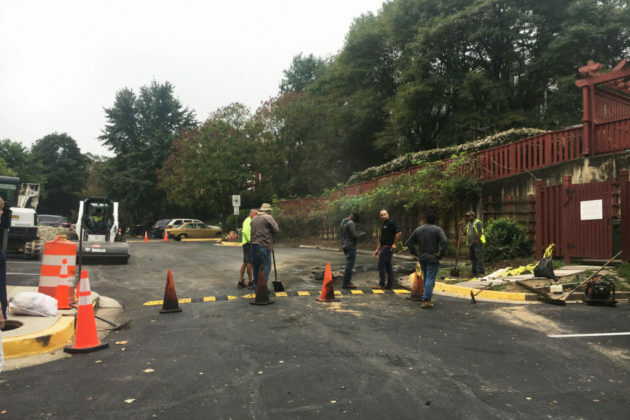 A small sinkhole seems to have opened in the parking lot of a Shirlington condo complex, snarling traffic in the neighborhood. 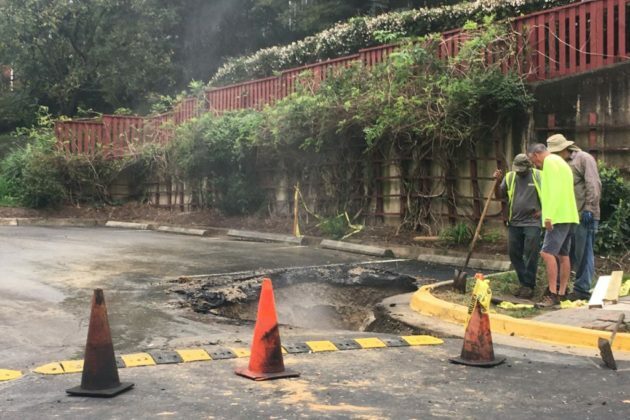 The hole, now several feet wide, is centered in a parking space near the 2900 block of S. Woodstock Street, where the Courtbridge I condominiums are located. 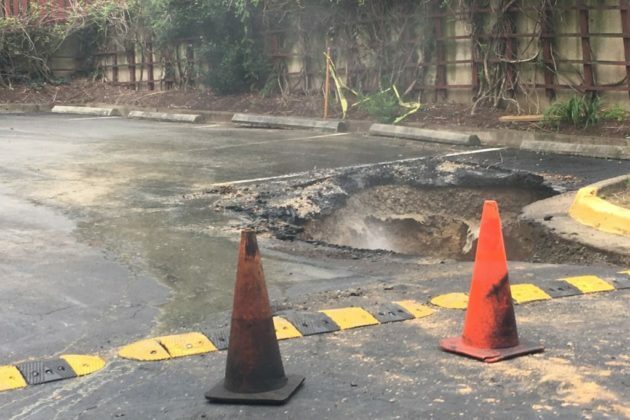 Elizabeth Hallman, who lives nearby, told ARLnow she first saw the sinkhole appear yesterday (Thursday), while a car was still parked in the space. She added that a “very skillful” tow truck driver was able to remove the car from the space a short time later. As of this morning (Friday), crews were hard at work to patch up the hole. They’ve closed a section of S. Woodstock Street while those repairs continue.